Starting in 1985 Maureen Woolf has managed assignments from major U.S. food manufacturers to establish marketing programs for food distributors and agents in the Asia Pacific market, and sourced food and gift products for U.S. clients. 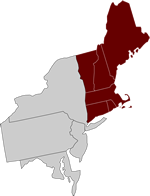 Since 1992 she has established and developed the New England territory for unique specialty food manufacturers and importers. We represent artisanal manufacturers of specialty foods from the United States and around the world. Our staff can meet with you to present our products and have you sample them.